Google doesn't want older Chromebooks to run the Play Store, but the limitations don't appear to be technical. Chromebooks recently beat out Macs in terms of shipments, according to one analyst firm. Now it appears Google has a plan to turn that feat into an ongoing sales streak: Android apps. Lots and lots of Android apps. As the company announced during Google I/O 2016, Google plans to bring the entire Play Store—Google’s repository for Android apps—to Chrome OS. Not every app will work flawlessly, of course, as the Chromebook will need to have any hardware the app requires to function. But for the most part popular Android apps should run just fine. But here’s the catch: The upcoming Android apps functionality will only work with future Chromebooks and select existing Chromebooks that rolled out in the last two years, as Ars Technica first noticed. 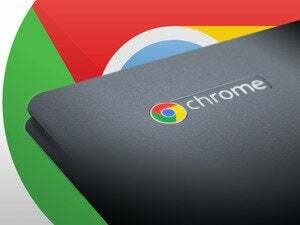 Google recently posted a compatibility list for Chromebooks that will run Android apps, and the roster is sure to frustrate folks who jumped on the Chromebook bandwagon early. Got a 2013 Chromebook Pixel with an Intel Core processor and 8GB of RAM? No Android apps for you. How about a 2015 Dell Chromebook 11 3120 with an Intel Celeron processor and 2GB of RAM? Use all the Android apps you want. That suggests there are no technical limitations preventing at least some older Chromebooks from running Android apps. Google told Ars the decision to cut out devices older than two years was intentional. In other words, don’t expect to see a ton of other devices added to the list over time. If that’s the case, then the limitation may be a ploy by Google and its partners to sell more Chromebooks. Now to be fair, Google only promises to support Chromebooks for five years from their release date. Early Chromebooks from 2010 and 2011, therefore, may simply be unsupported due to Google’s end-of-life policy. But that doesn’t explain the seemingly arbitrary decision to cut out Chromebooks from 2013 and early 2014. Chrome OS + Android = consumer interest? As for users who haven’t yet touched a Chromebook, if anything will help Chrome OS catch on in the consumer market it’s Android apps. Everyday customers who are reluctant to try Chrome OS may think twice when the same apps they’re familiar with on their phone are also available on their PC—especially when it comes to Chromebooks rocking touchscreens like the convertible Asus Chromebook Flip. The Play Store on Chrome OS is expected to start rolling out to mainstream users later in 2016.